More than 100 years long women’s fight for gender equality is still relevant today and although some achievements were accomplished during this period, there is still so much to be done. Women’s rights are characterized by an inherent historical and traditional bias towards women and girls, with often deeply entrenched beliefs that women have a certain role in a society and can follow certain paths have been present during the whole recorded history. In the late 19th and the early 20th century, women succeeded to become involved in the decision-making process and they were granted the right to vote, then the right to own property, to work, to education, to enter into legal contracts follow suit. Yet, nowadays women still have a lot of battles to fight. 5.C Adopt and strengthen sound policies and enforceable legislation for the promotion of gender equality and the empowerment of women. Gender equality is beyond basic human right; it is the base for the achievement of more prosperous and sustainable future. Nowadays, women are still not equally represented in the decision-making process and not equally paid for the same type of job. According to the Women in business 2018 report issued by Grant Thornton, at the global level, the percentage of women in senior roles is declining and women hold under a quarter (24%) of senior roles across the world in 2018, a decrease from 25% in 2017. Moreover, for every dollar a man earns, on average a woman is paid 54 cents and it will take 202 years for this gap to be closed according to the World Business Forum. According to The Global Gender Gap Report 2018 issued by the World Economic Forum, ’the 149 countries covered in the Report have closed 95.4% of the gap in health outcomes between women and men and more than 95.6% of the gap in educational attainment’. What is discouraging is the fact that there is 41.9% of the economic participation gap that needs to be closed and about 77.1% of the political gap to be closed. Gender disparity is visible even on the big screen where the gender ratio is 1.52 male characters to every 1 female character on screen. 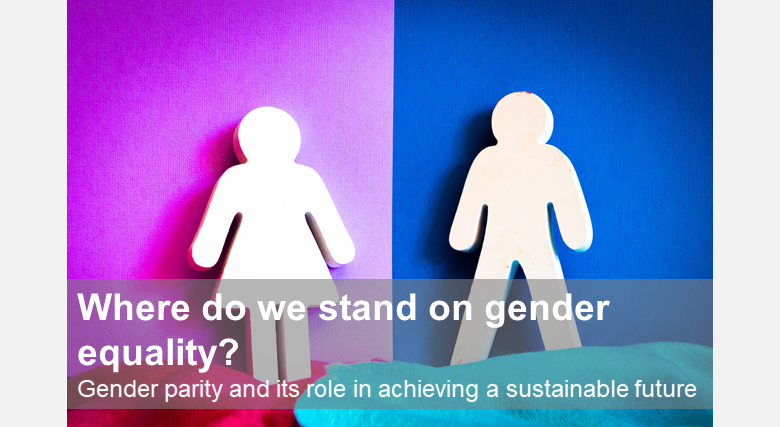 Gender equality is a social issue, visible in societal norms and sense of identity, and it often seems that there is a lack of awareness of the fact that achieving gender parity can only make the world more prosperous and peaceful. The 2019 #BalanceforBetter campaign aims to raise awareness that gender balance is essential for economies and communities to thrive and that women should be equally represented in economic and political decision-making. Yet, raising awareness is not enough. The deep structural changes and effective policies and legislation frameworks required are not easy to implement. The example of Sweden “gender equality is one of the cornerstones of Swedish society. The aim of Sweden’s gender equality policies is to ensure that everyone enjoys the same opportunities, rights and obligations in all areas of life. and countries like Sweden” sums up the message that “progress in all aspects of society” requires the active and equal participation of women and men.